I'm late getting a Halloween pumpkin patch post up (sigh...posting late, or not all all, seems to be the way of things these days. #toddlers). 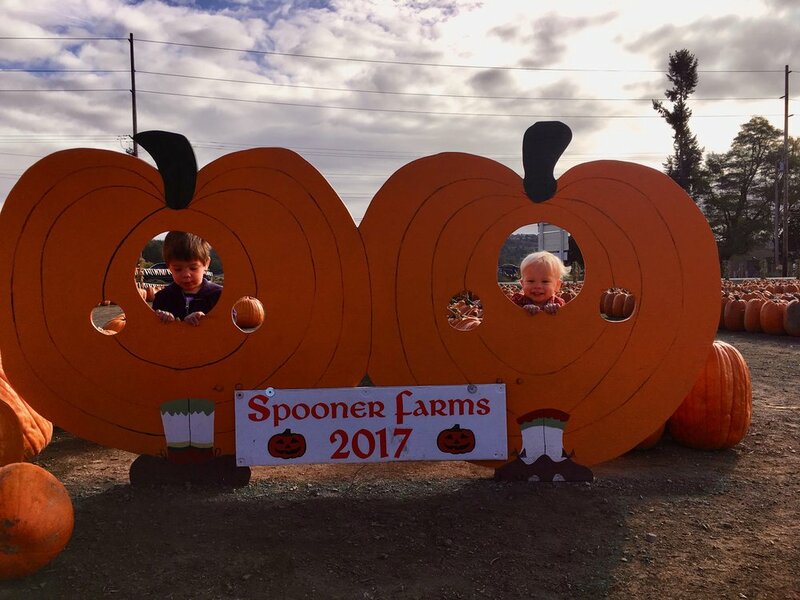 Of course, the pumpkin patch visiting took place before Halloween, so this post goes up first. Next up: Halloween. We managed to visit two pumpkin patches this year. Both with awesome, fall weather. The first patch was Spooner's Farm, which is the one we visited last year. Caleb and I went with our neighbor friends and had a pumpkin-tastic time. We went mid-week, so sadly Josh wasn't able to join. Don't worry, he did get to go to one. Here's Mighty Caleb pushing a wheelbarrow. Caleb's mantra: If it's moves, I will push. Caleb thought the pumpkins pretty cool. He tried to pick some of these monster pumpkins up. Seriously, they are like two times his size, yet he still tries. Sebastian and Caleb being pumpkin heads. 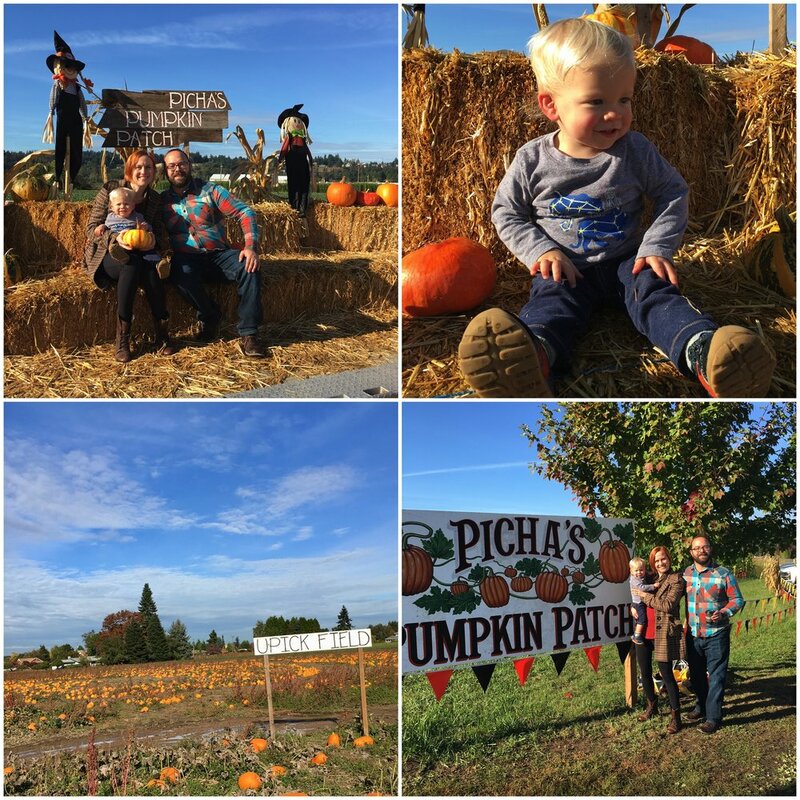 The other pumpkin patch was Picha's Farms and Josh got to join the fun. The tractor ride was the highlight for Caleb. We got to sit in front and see the wheels and everything. This patch had a U-pick field, so we did some pumpkin exploration. Caleb tried to eat one. I guess exploration to him means everything including tasting. All these pumpkins got me to wanting to bake pumpkin. Heck yes to pumpkin season!! !